1. Make your favorite flavor of cupcakes. I had originally planned to make white cupcakes with white frosting, but my boys thought they should be brown like “the dirt” that flowers grow in… Love their thinking! 2. 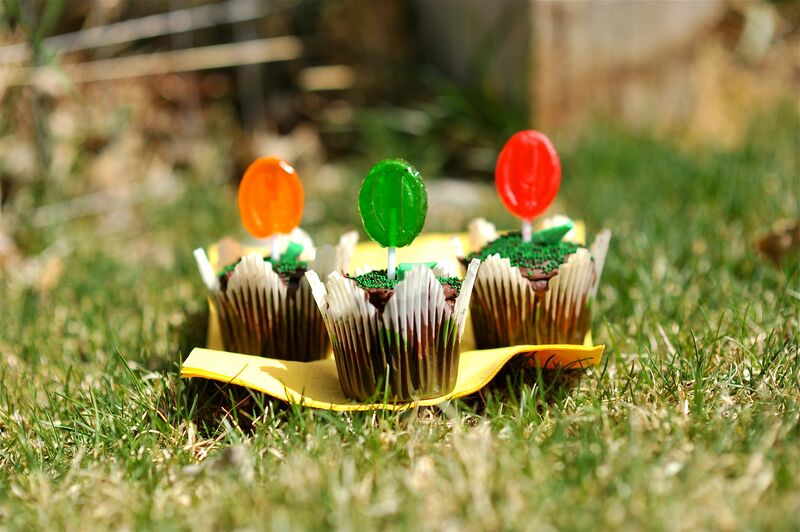 Basically we used green sprinkles for “grass”, suckers for flowers and I cut green Now and Laters for the leaves. 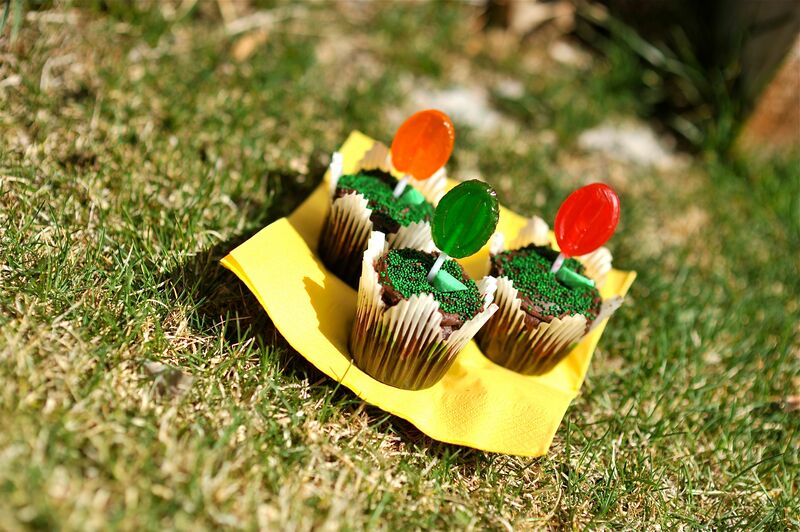 You could use jelly beans or peanut M&M’s for the leaves too… or if you are really adventurous you could make leaves out of melting chocolate. 3. TADA, that’s it… so easy and pretty cute!